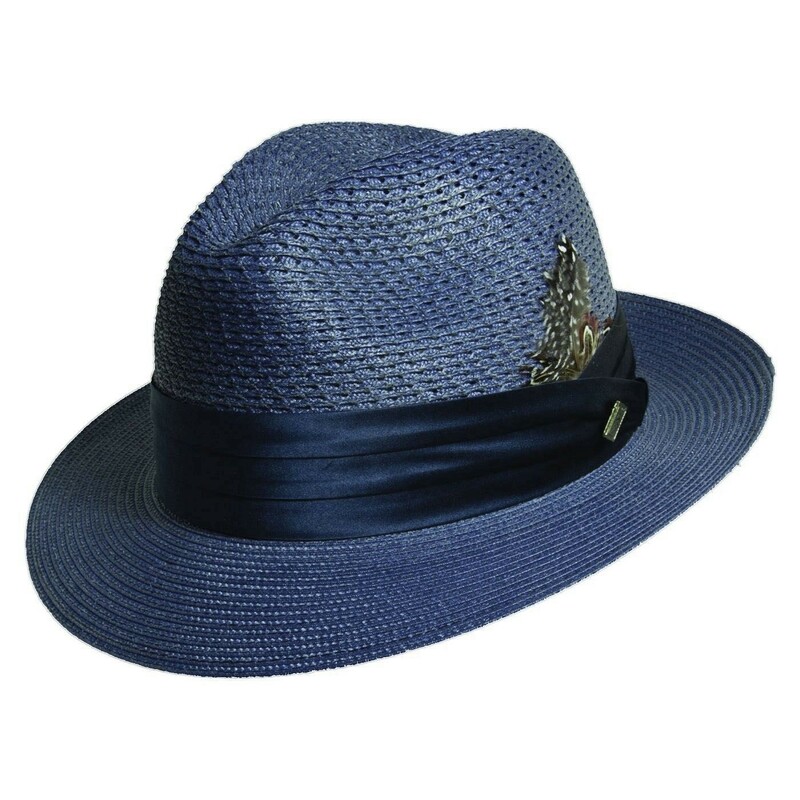 A special occasion calls for a special hat, like the Stacy Adams Sewn Braid Fedora Hat. This pinch front classic topper is made of a of vented, polybraid material. What makes it the ideal accessory for your big event is its 3-pleat silk band adorned with feather trim and a golden Stacy Adams logo pin.